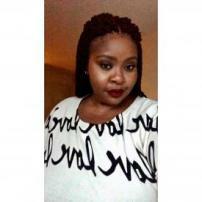 Kennisha L. Crawford is a creative writer and poet. Kennisha has had her work published in a book titled "A Surrender to the Moon". Kennisha also is a contributing writer for Uloop. She is currently working towards obtaining her bachelor's in Creative Writing at Southern New Hampshire University. She is a firm believer that with God all things are possible and lover of all things creative. Sites where you can view other pieces by Kennisha are AllPoetry.com, HelloPoetry.com, Rhymer's Block and Medium. Settlements equal to justice being served? Who is First Lady Melania Trump? Elizabeth Warren: 2020's leader of the free world?